Ingrid and Johnny met at a local coffee shop in Pittsburgh, where they talked about antiquing and classic cars. Ingrid loves vintage beauty and design while Johnny loves antique furniture and unique collectables. 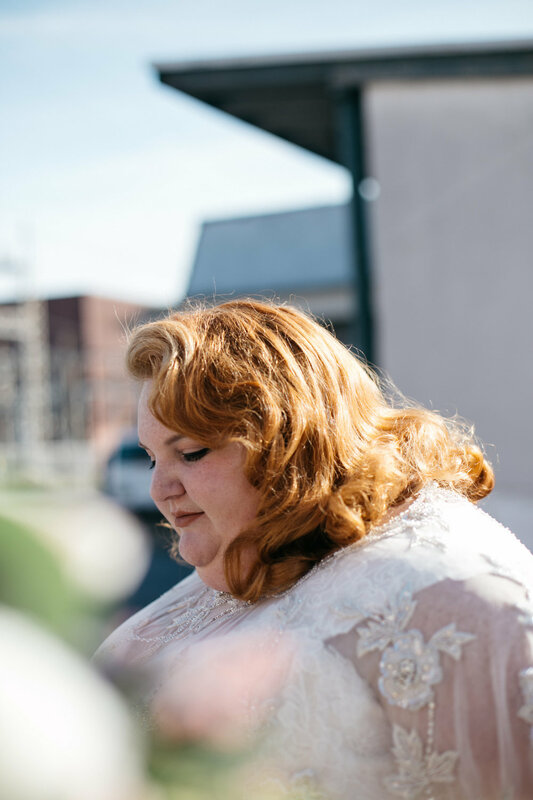 After months of drive-in movie dates, searching for forgotten heirlooms, and decorating their house with mid century modern furniture, Johnny asked Ingrid to marry him in September of 2016. 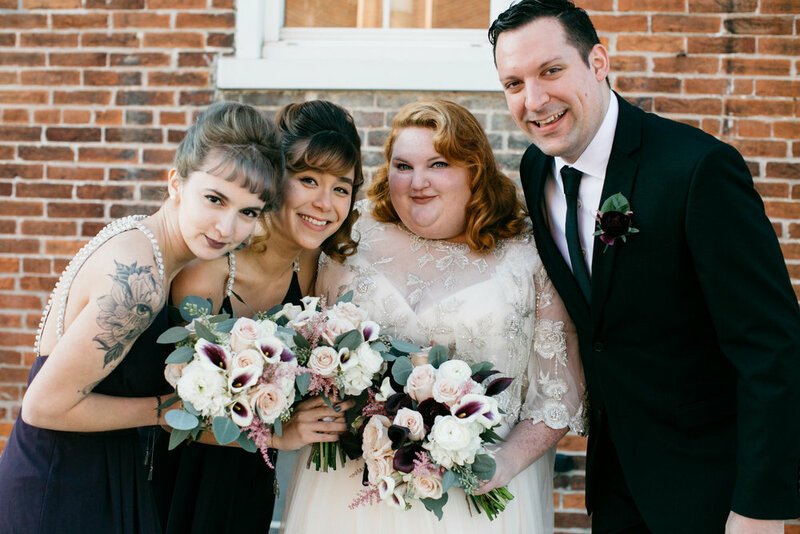 They were married on a Sunday afternoon, on November 12, 2017, in Lancaster, Pennsylvania. 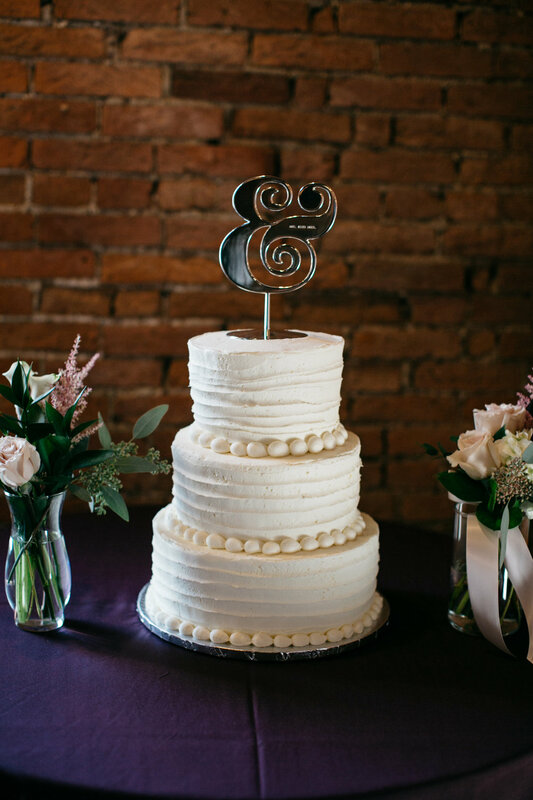 The Booking House, their venue for both the ceremony and reception, is an old cigar factory transformed into a multi-level venue, with lots of well maintained wood accents, sleek fireplaces, and brick walls. It housed their many vintage collectables perfectly, which included radios, clocks, cameras, and milk glasses. All of their decorations were found items over their time together, including their wooden record box, which they used as the card box. 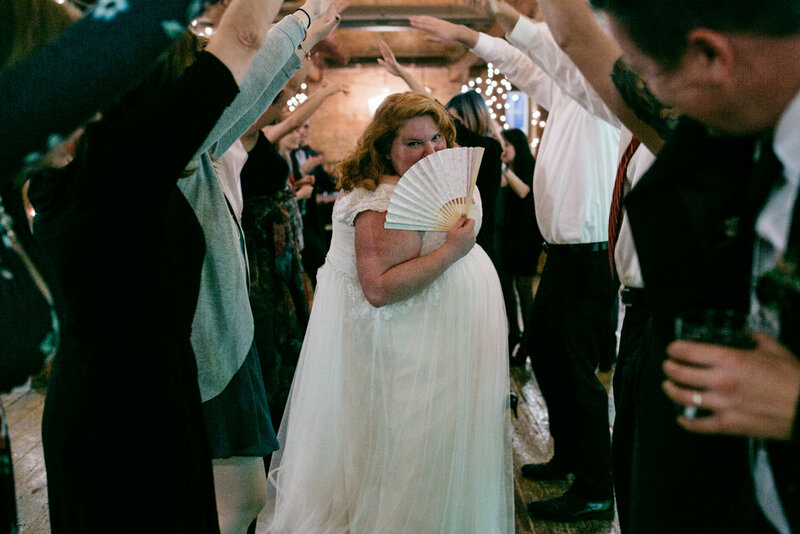 The bride wore Maggie Sottero with a custom beaded cape purchased through Etsy. The bridesmaids wore plum Haley Paige dresses and the groom and groomsmen wore suites by New Age Tuxedo in New York City. The flowers were simple but bold, with white, blush, and plum. 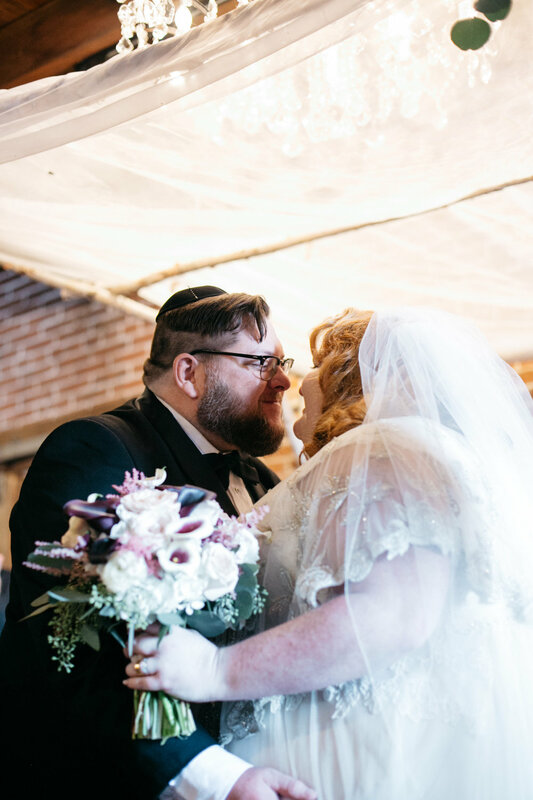 As with most traditional Jewish weddings, the wedding started with an intimate ketubah signing, while their guests enjoyed hummus and mini reuben sandwiches at cocktail hour. The ketubah is a wedding contract, which states “I am my beloved, and my beloved is mine.” With the Rabbi supervising, the bride and groom sign the decorated contract with their parents present and two non-relative witnesses. Ingrid said, “After signing the ketubah, we’re technically married. 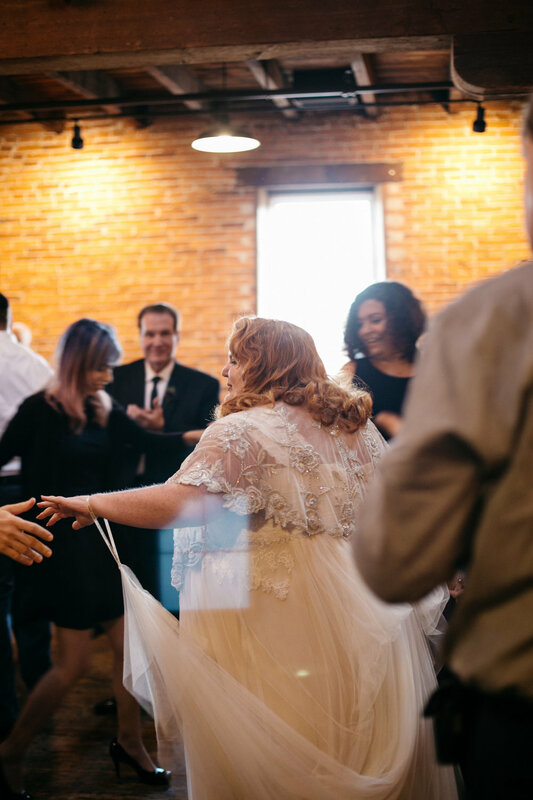 This made the actual ceremony less nerve wracking and more exciting.” You could feel the love in the room as the couple were officially wed. The ketubah was then framed and moved to be displayed during the reception. 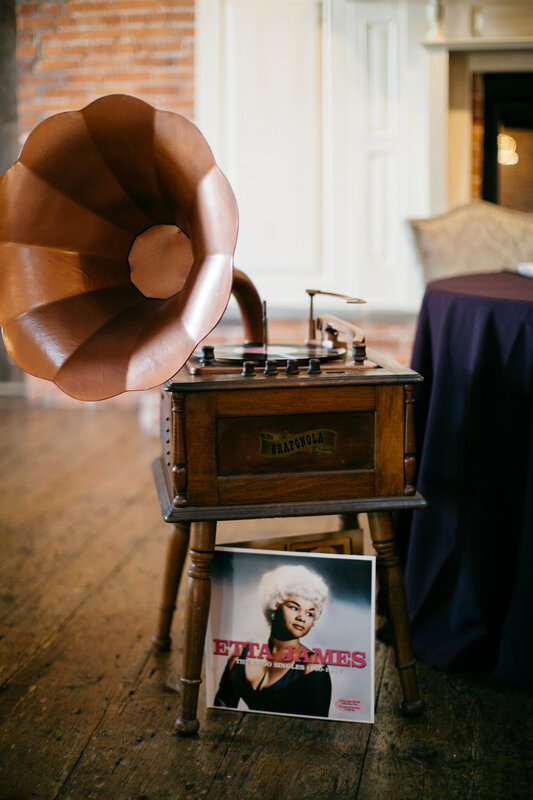 The couple sat at a sweetheart table at the front of the reception room room with a phonograph thoughtfully staged with an Etta James album in front. Guests had the option of teriyaki salmon, roast beef, or a mushroom vegetarian dish. The dessert spread was eclectic, with what seemed like a little bit of everything. 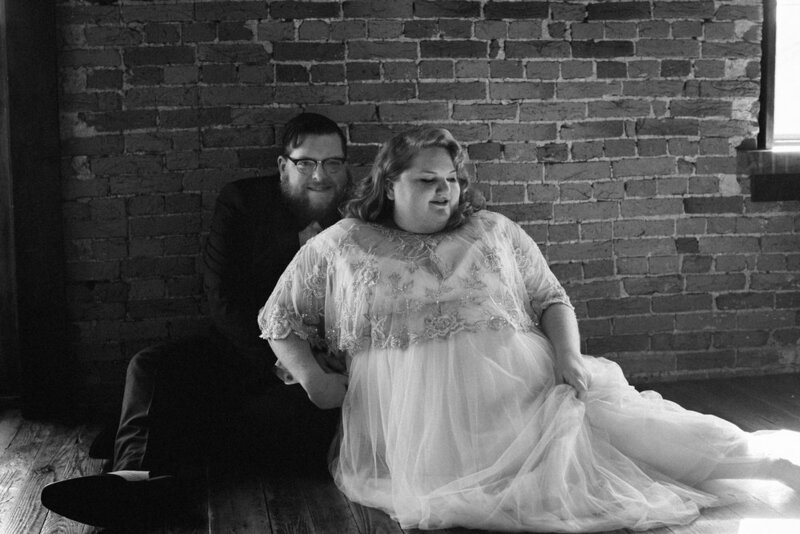 Their first dance was to “Sunday Kind of Love,” by Etta James, a song that Ingrid sang to Johnny on their first date while they bonded over music. The music played was well thought out, each song hand picked and attached to a memory. 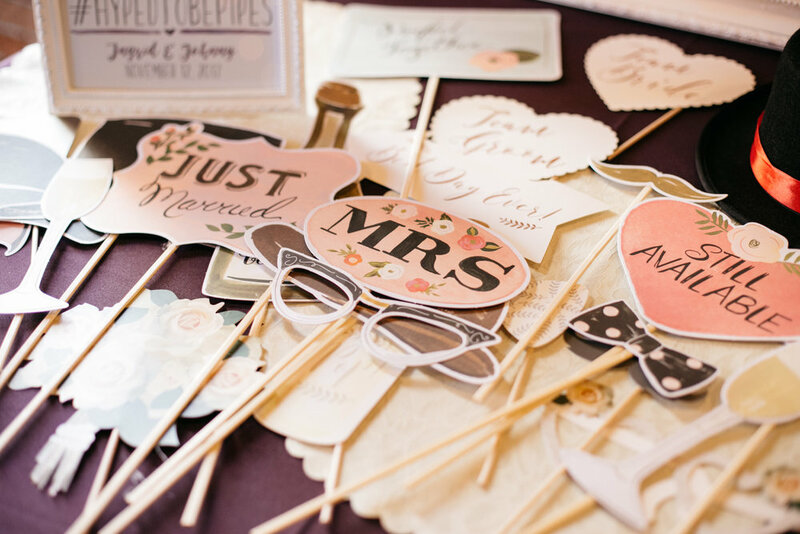 They offered personalized glow sticks, lace paper fans, and streamers for their guests to dance with and feel the vintage vibes. Even for a Sunday afternoon, they had a hopping dance floor with everyone enjoying MoTown hits sprinkled with current jams. The night ended with a passionate rendition of “I’m Getting Married in the Morning” by Yellowman, a reggae song the bride’s friends sang lovingly to her the whole weekend. 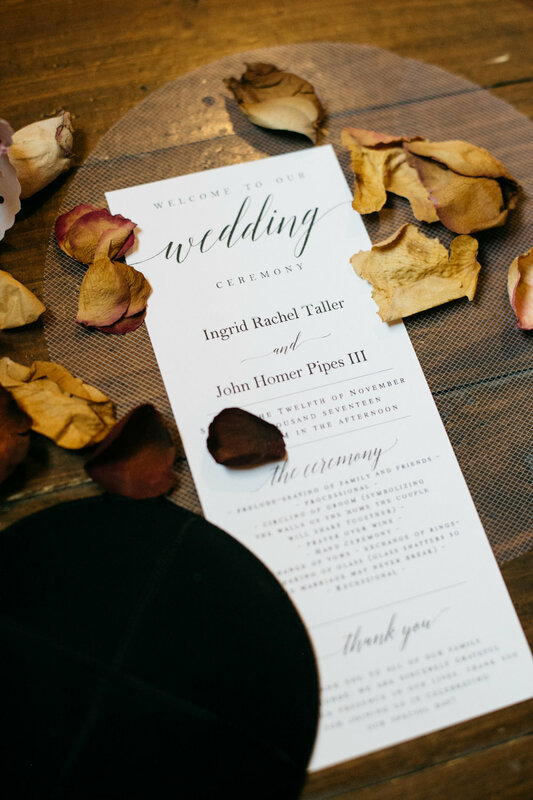 The entire night was a elegant mixture of love, friendship, and tradition and the perfect display of vintage romance.